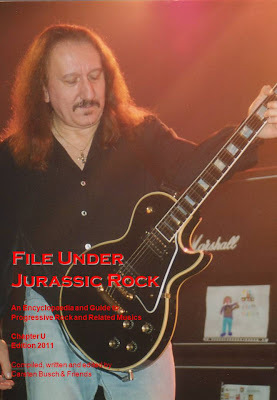 File Under Jurassic Rock: U Chapter online! Took a tad longer than expected (I have a full-time job besides this...) but here is the first chapter of 2011 and more to follow rather soon! Proudly presenting 'U'. About 105 entries, 200 pictures and 125 reviews. As usual including full artists index. Get it here, or by clicking on the picture. Enjoy!